Hide-and-Seek, Tag and Hop Scotch – Did You Play These Games? Do you remember any these games? 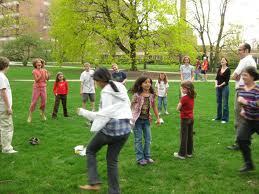 Red Rover, Simon Says, Hop Scotch, Four Square, Kick- the- Can, Hide-and-Seek, Tether Ball or Tag? I recently asked my sister about the games we played as kids. She quickly fired off the names of these games for me. We have many fond memories of playing outside, especially in the summer, from the time we got up to dusk or dark. We had a TV of course but our main source of entertainment was being outside and playing with the kids in the neighborhood and our siblings. We created games, enjoyed friendly competition, and learned about teamwork by playing together. Being physically active helps us feel better, burns calories and can contribute to a sense of well being. Now is a great time to explore ways that you and your family can be more physically active. • Take family walks in the evening after dinner. • Play tag, hop scotch or kick-the-can with your kids or grandchildren. • Dance to your favorite music. • Plant a family garden. • Limit screen time to two hours or less each day. This includes TV, computers, cell phones, and video games. • Exercise while watching TV. Challenge family members to stretch and move during commercials or during the program. • Stand for meetings. Instead of sitting during the entire meeting, stand up and burn a few extra calories. • Schedule a walking meeting at work – you can walk, talk, plan and be productive while getting some physical activity. • Take a fitness ball to work and sit on it for brief periods during the day. • Stretch and move with a fit band during webinars or conference calls. • Walk, run, swing, bike or play at your local park or bike trail. Be creative and explore ways to increase your physical activity. Think about games you may have played as a child, plant a garden, take a bike ride or walk to the park. 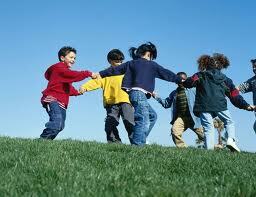 Make physical activity fun and enjoy the spring weather! Reviewer: Linnette Goard, Field Specialist, Food Safety, Family and Consumer Sciences, Ohio State University Extension.